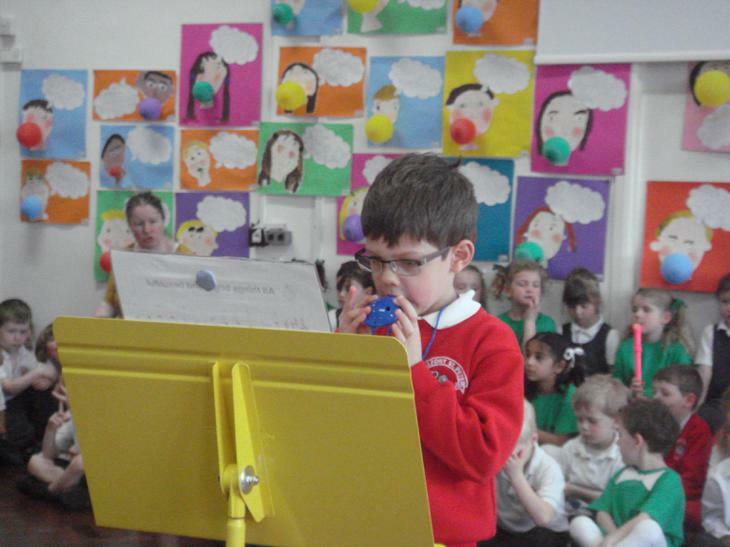 Ocarina Club takes place at lunchtimes during the Spring and Summer Terms and is run by Mrs Jones. Children are encouraged to learn to read simple 'oc pics' and finger positions to play simple tunes to backing tracks. 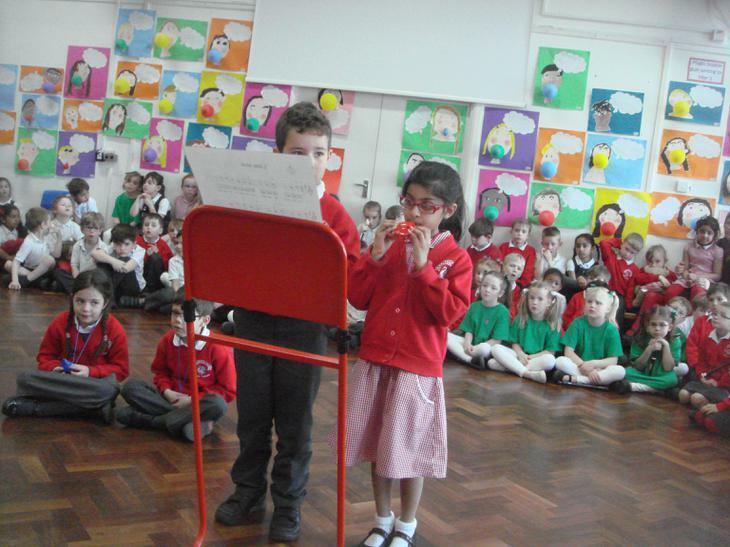 The children last performed at the Easter Concert.